Travel through all the eras of time: in hardly any other city do 15th century buildings complement internationally renowned modern architecture to create such a dynamic yet harmonious cityscape. 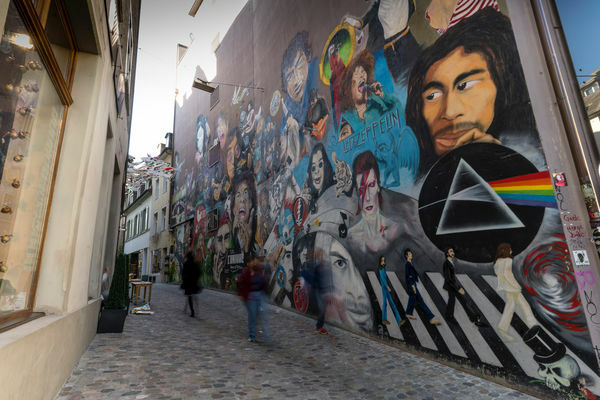 The narrow alleyways and hidden squares with over 180 fountains as well as the many century-old buildings and eyecatching sights such as the City Hall or the Cathedral combine to make Basel's Old Town one of the most beautiful and intact of its kind in Europe. 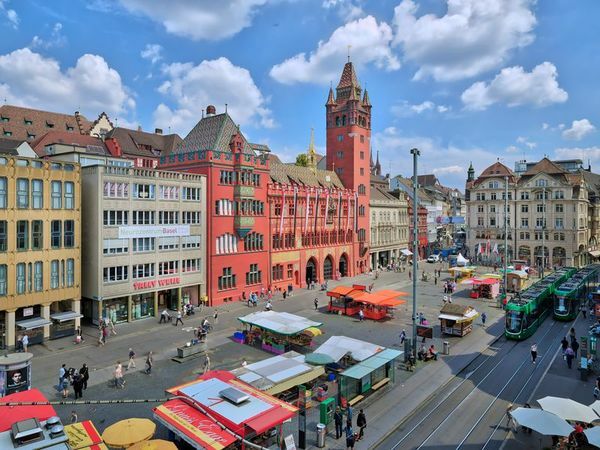 The market square is dominated by the impressive City Hall, the seat of government of the Canton of Basel-Stadt. During the week, the market on the square sells fresh vegetables, fruit and flowers. 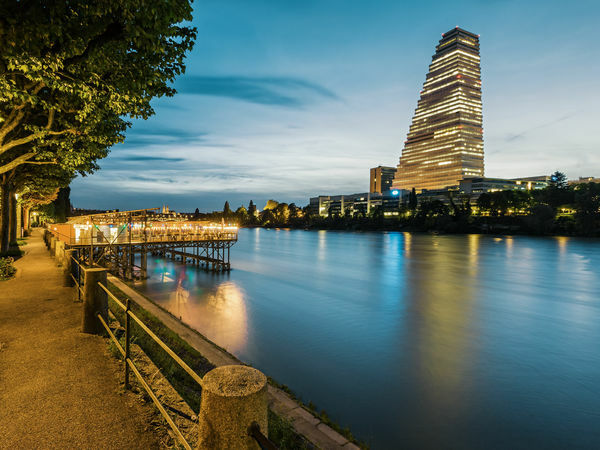 With a height of 105 metres, the Messeturm is a notable landmark of Basel's skyline and is a key feature of the city's modern face. 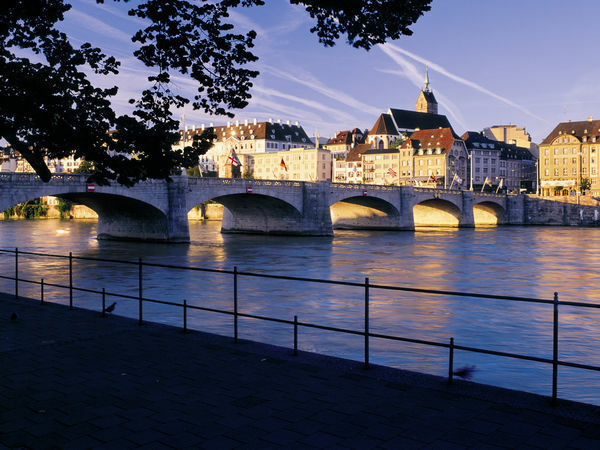 Hardly another monument in the city of Basel has become such a symbol of the city as the Mittlere Brücke. 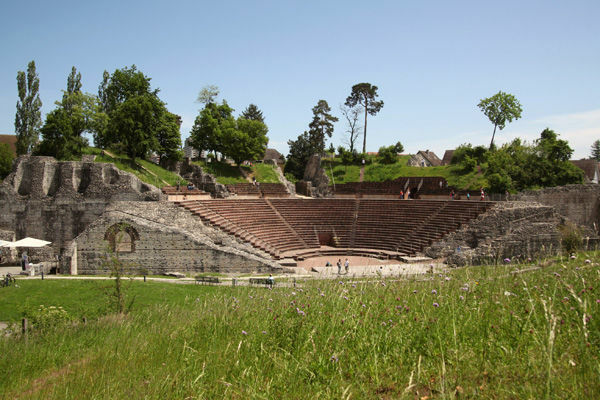 Opened in 1226, it is one of the oldest Rhine crossings between Lake Constance and the North Sea. 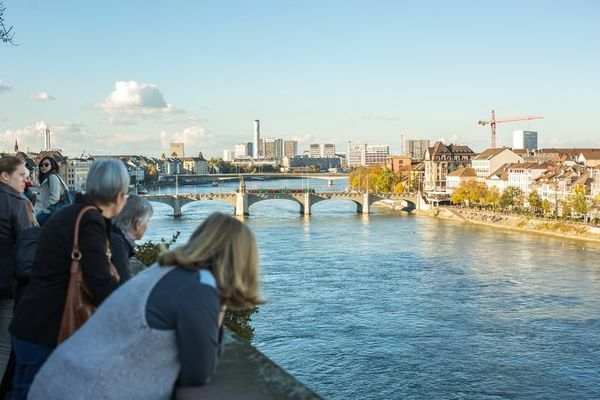 The Pfalz viewing terrace in Basel offers fantastic views over the Old Town and as far as the border triangle. 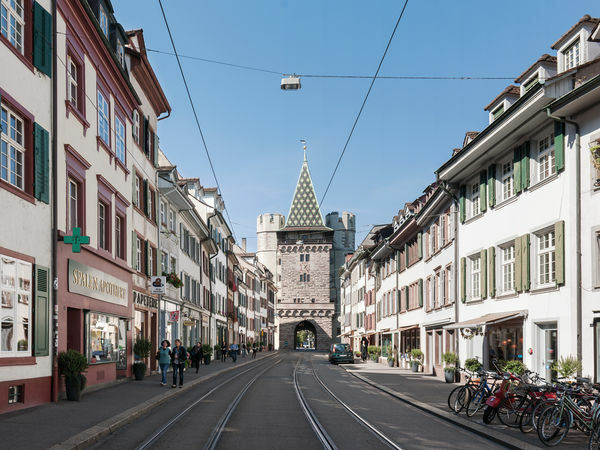 The Spalentor (Gate of Spalen) is the most magnificent and impressive of the three city gates still remaining from the city fortifications dating from 1400. 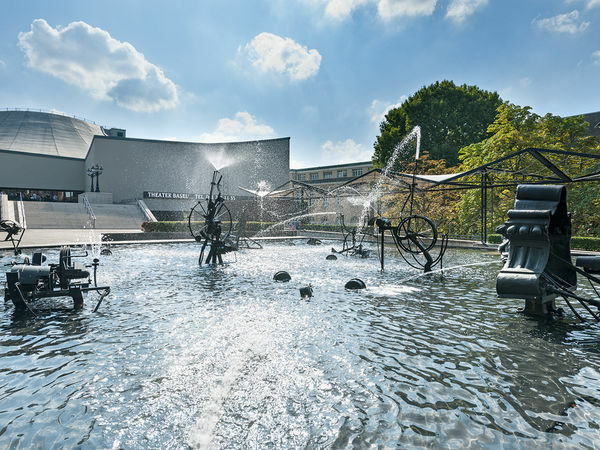 In 1977 Jean Tinguely created sculptural machines in a shallow fountain where the stage of the old city theatre company once stood, and in the process gifted Basel a famous new landmark. 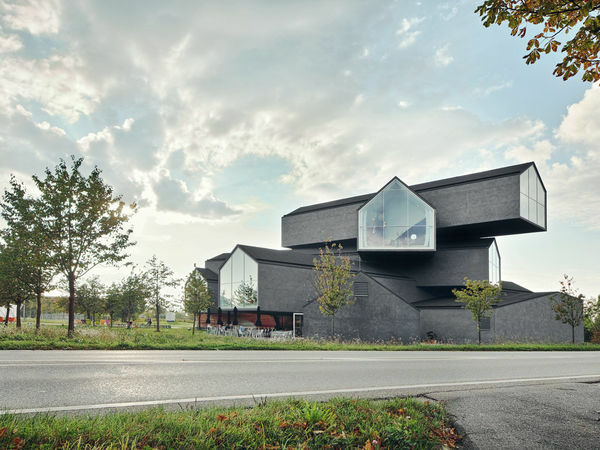 In addition to featuring a large collection of design classics, the Vitra Museum in Weil am Rhein is also a who's who of the architecture scene. Here you'll find buildings by Frank O. Gehry and Zaha Hadid as well as by Tadao Ando, Álvaro Siza, Nicholas Grimshaw and SANAA. 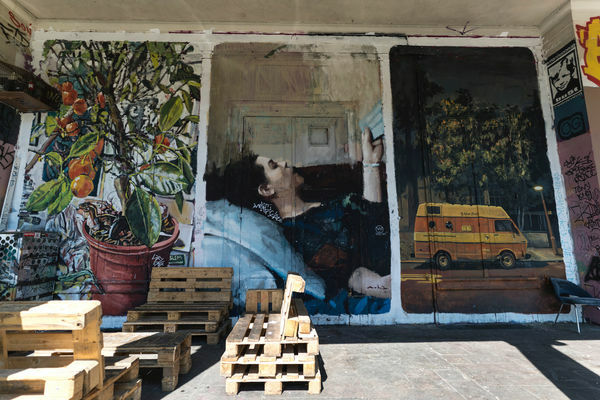 Dreispitz – which was formerly known purely for its light industry and warehouses – is being transformed as it fills up with apartments, schools and arts institutions. 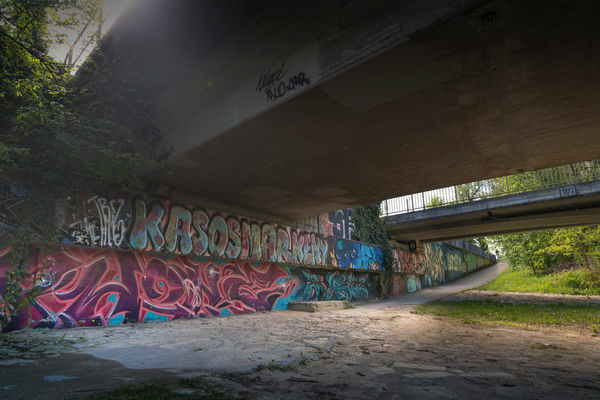 Well-known names in the contemporary architecture scene have created exciting projects here that have given the area a facelift. And the transformation is still under way. 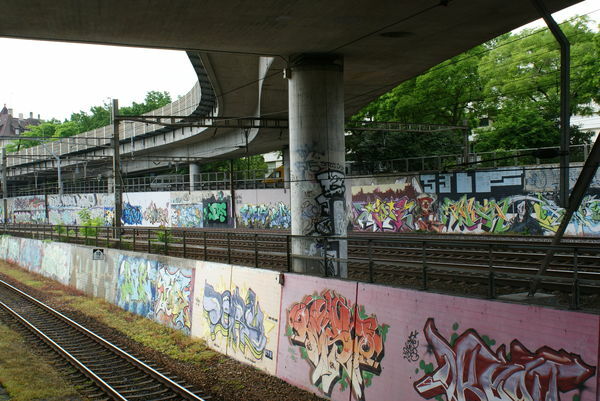 The people of Basel are receptive to modernity. This is the place to visit if you’re looking for state-of-the-art feats of architecture. 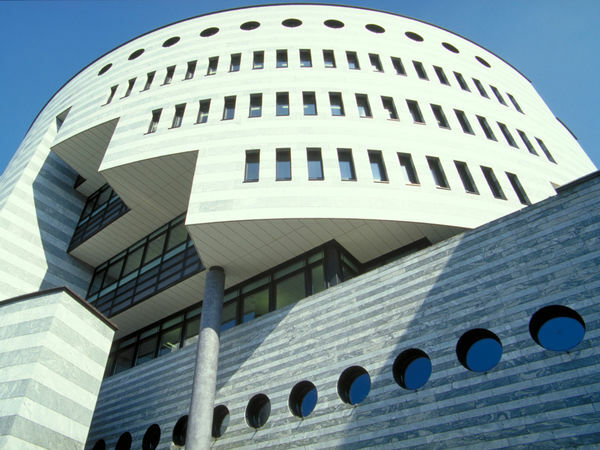 This impressive building designed by famous architect Mario Botta is home to the Bank for International Settlements (BIS). 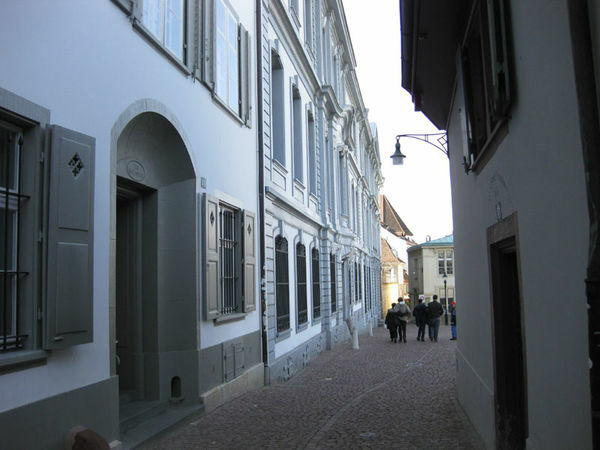 The six-storey building is typical of the style of the architect from the Swiss canton of Ticino. 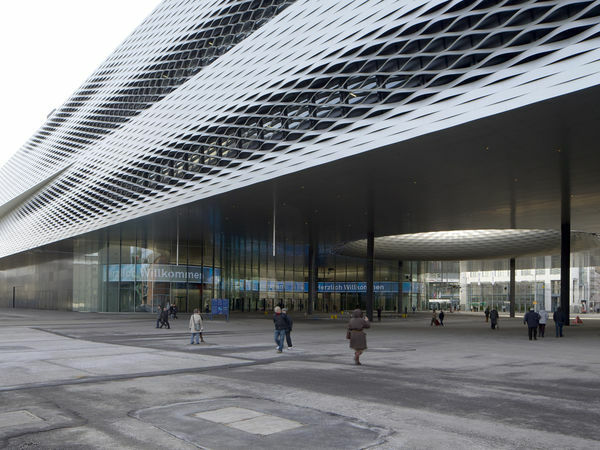 The new Messe Basel trade fair building is one of the city's newer landmarks. 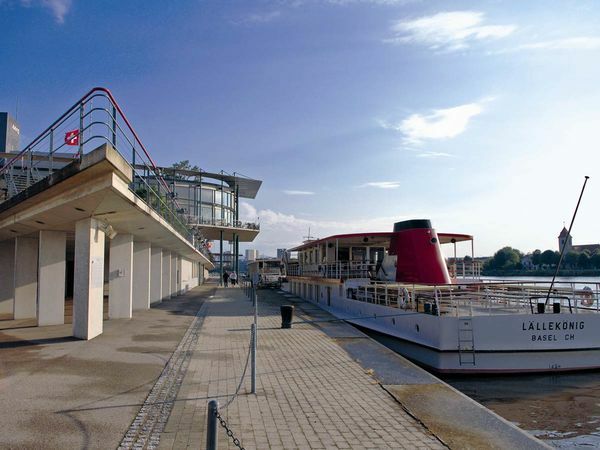 The central architectural urban feature of the hall complex, developed by Herzog & de Meuron, is the City Lounge. 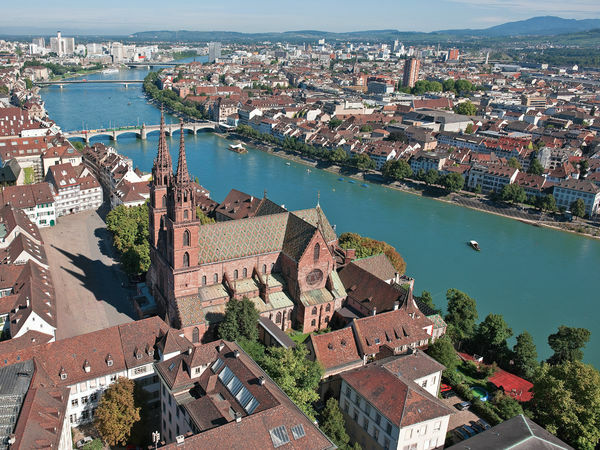 Take a walk with us around Basel Old Town, one of the most well-preserved and prettiest in Europe, and be surprised by the wide variety of architecture, unparalleled in any other city. 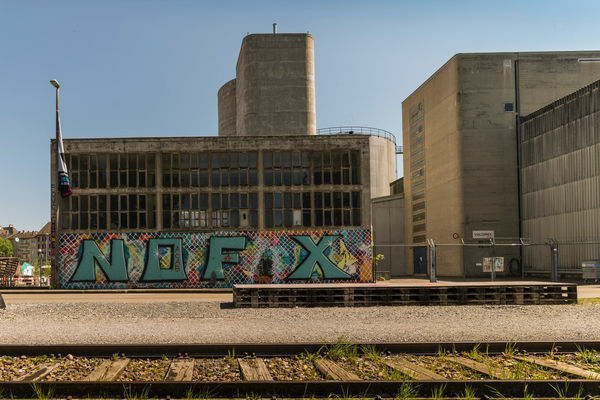 These former residences on Rheinsprung were purchased by the municipality of Basel­City in 1942 and 1968 and today are used by the Department of Commerce, Social Affairs and the Environment. The point at which Germany, France and Switzerland converge and boats sail off towards the North Sea is also a transport hub for the supply of raw materials to Switzerland. A unique meeting place for three countries, languages and cultures. 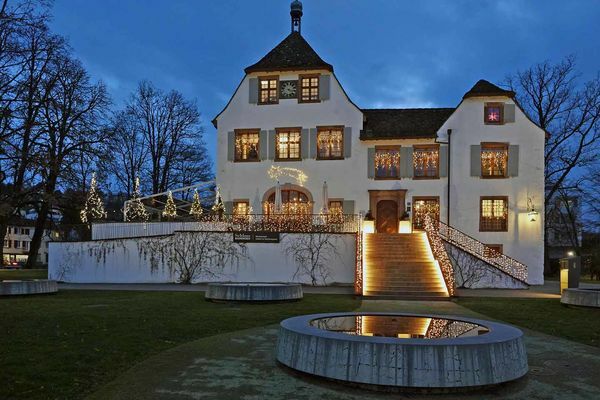 The moated castle of Bottmingen, a community to the south­west of Basel, is a highlight for all romantics. 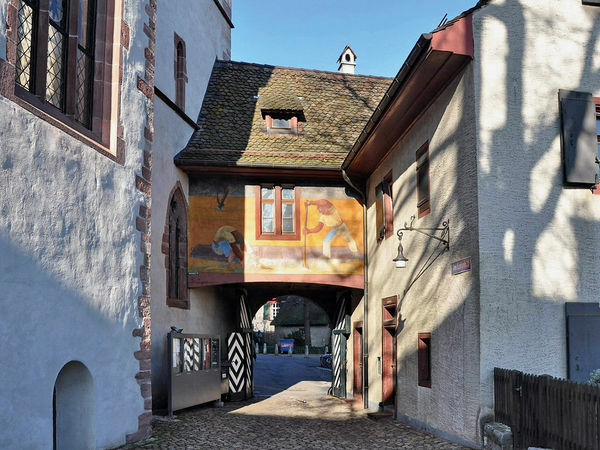 Dating from the 13th century, it is one of the few such buildings in Switzerland that are still intact. 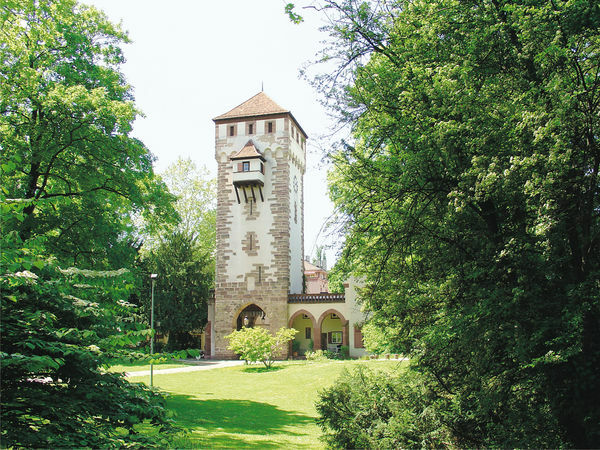 The castle of Bürgeln, a manor house in Germany's Markgräflerland, is well worth a visit. Begun in 1762 and completed two years later, it is now a popular venue for seminars and other events. 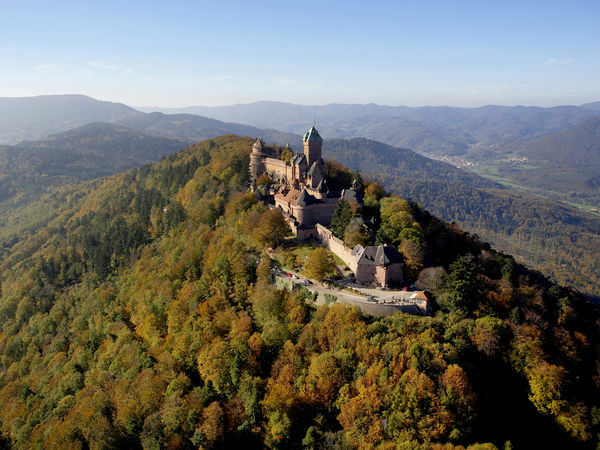 The Château Haut-Koenigsbourg is located in the heart of the Alsace wine-growing region. 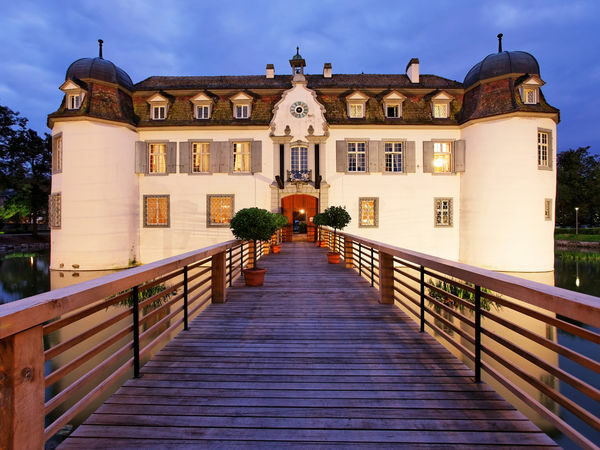 Entering through the doors of the impressive château is like taking a trip back to the Middle Ages. 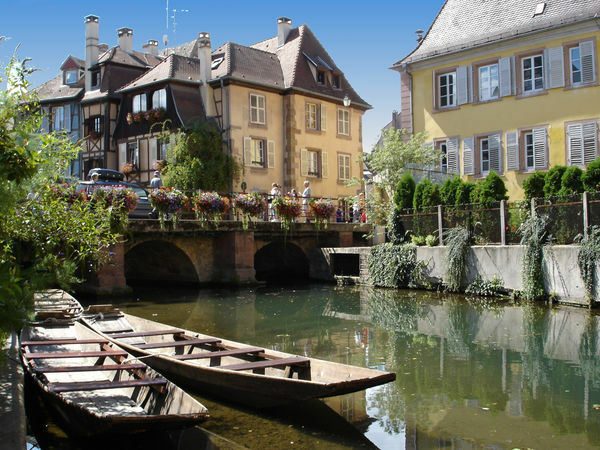 The journey to Colmar is a magical trip through hilltop vineyards and flower-filled villages. 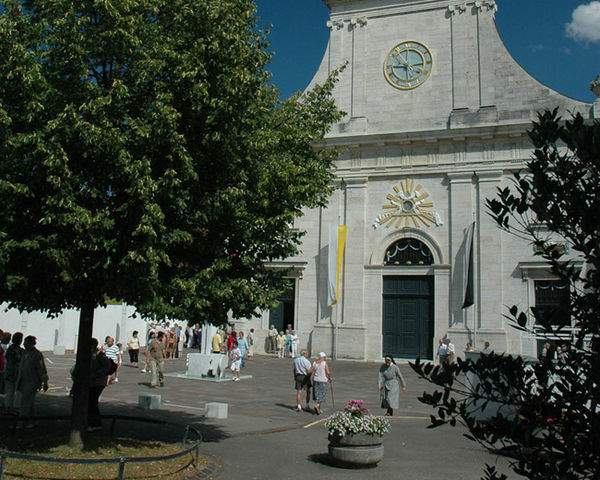 The Dom (cathedral) is the undisputed landmark of Arlesheim. 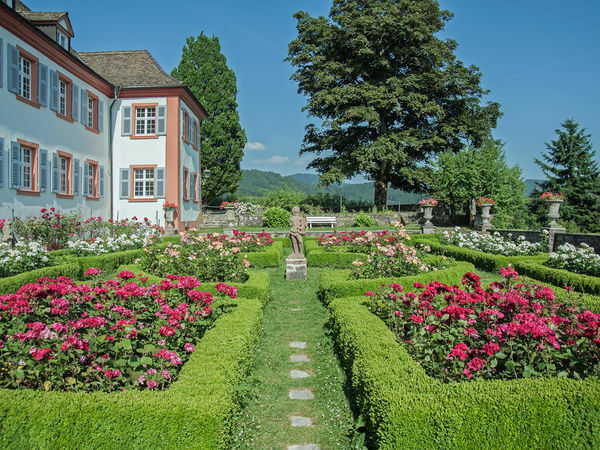 This idyllic village situated in the canton of Basel is also worth a visit for its impressive English gardens. Elsässertor by Herzog & de Meuron, along with neighbouring buildings by Richard Meier, Diener & Diener, Cruz & Ortiz and Giraudi & Wettstein make for an impressive ensemble of urban architecture. 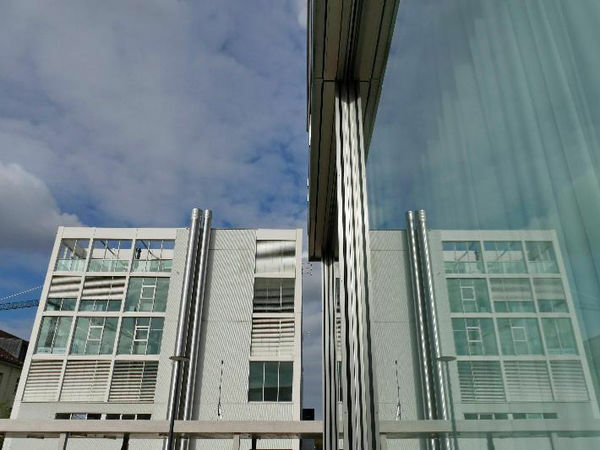 The renowned architect Richard Meier, who was responsible for projects such as the Getty Center in Los Angeles, completed his first building in Switzerland in 1996: the Euregio Geschäftshaus in Basel. 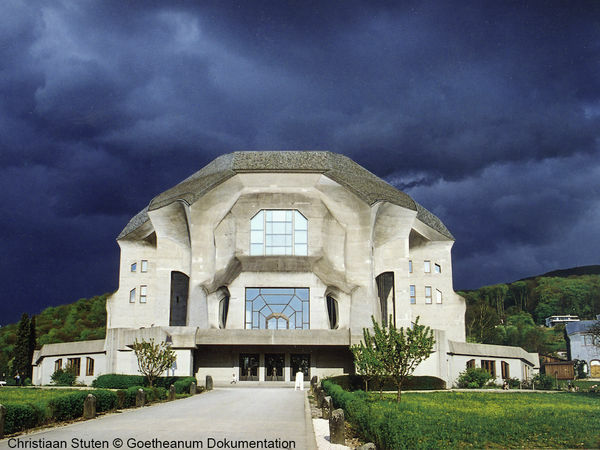 The Goetheanum is situated in Dornach, around 10 kilometres outside the city centre. 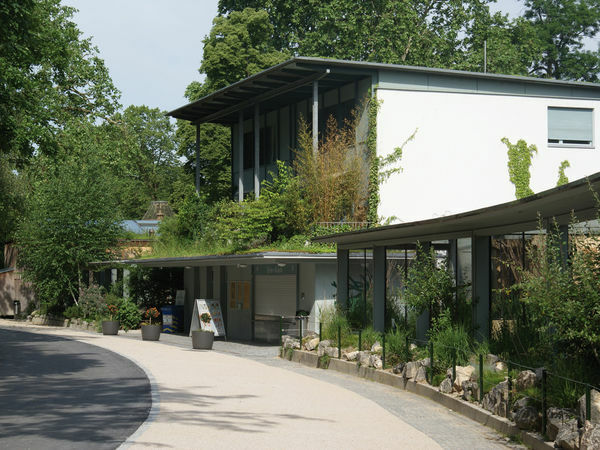 It serves as the head office and conference venue of the General Anthroposophical Society and boasts a distinctive shape, which has also inspired the architects of neighbouring buildings. 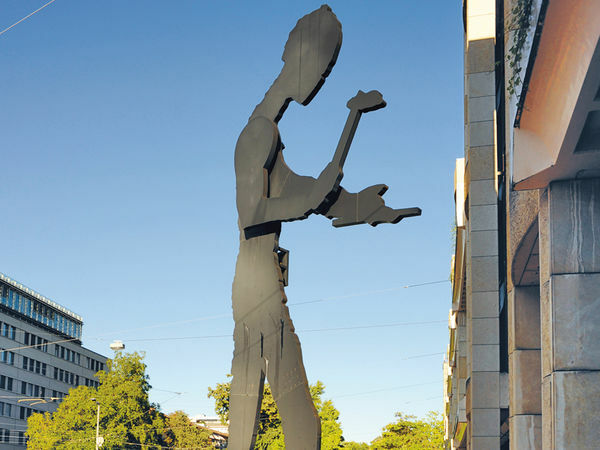 Visit the hardest-working of all of Basel's inhabitants - the Hammering Man on Aeschenplatz. The BIS Tower is 69.5 metres high and was constructed by architect Martin Burckhardt between 1972 and 1977. 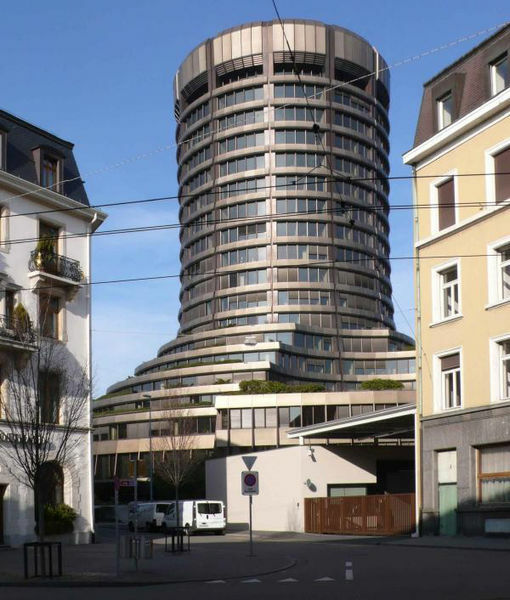 It houses the head office of the Bank for International Settlements (BIS). 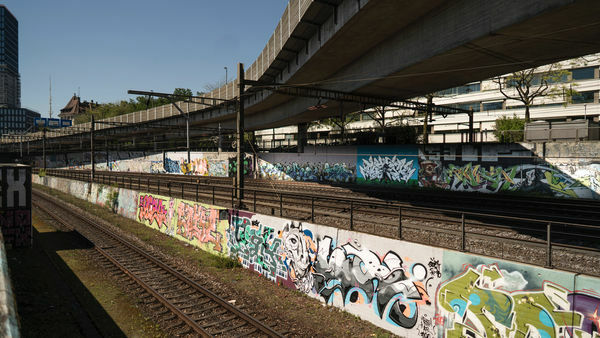 Travellers arriving by train at Basel SBB station will immediately notice the shimmering silver Jacob Burckhardt Haus and gleaming green Peter Merian Haus. 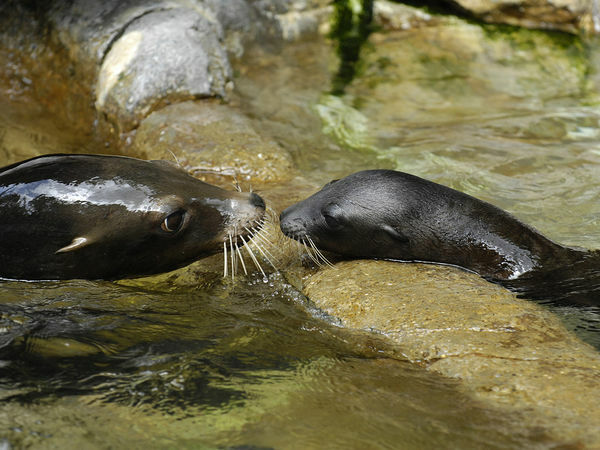 Founded in 1871, Lange Erlen Animal Park is a popular destination for families. 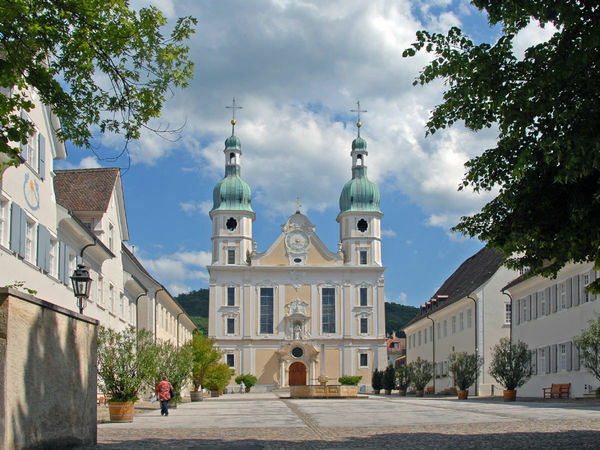 The pilgrimage church at the Mariastein monastery is impressive not only due to its late­Gothic architecture, but also for the exquisite painting and artworks it houses. 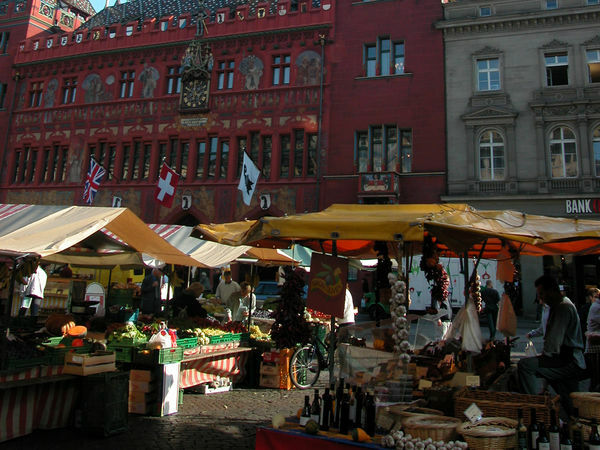 Basel's Markthalle (Market Hall) was built in 1929 and used as a market up until 2004. 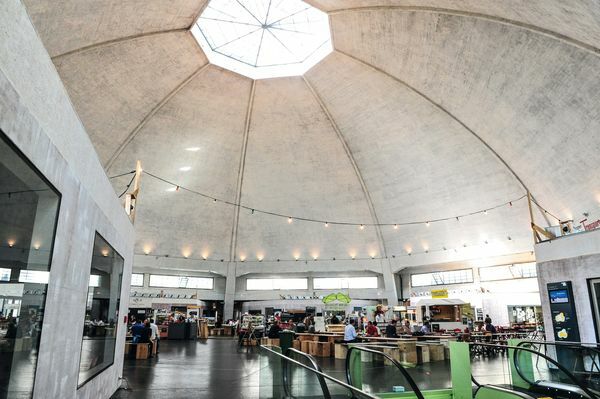 Following various attempts at other uses, 2014 saw the hall being returned almost to its original purpose, with food stalls and a weekly market on Saturdays. 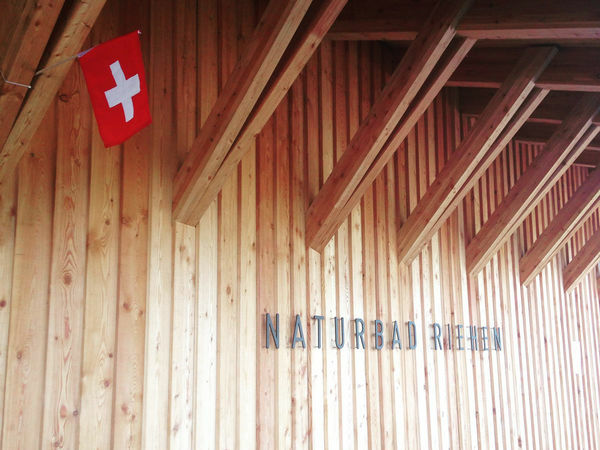 A natural swimming pool in the neighbouring community of Riehen, Naturbad Riehen is a highlight for architecture enthusiasts, as well as for anyone looking to relax and unwind. 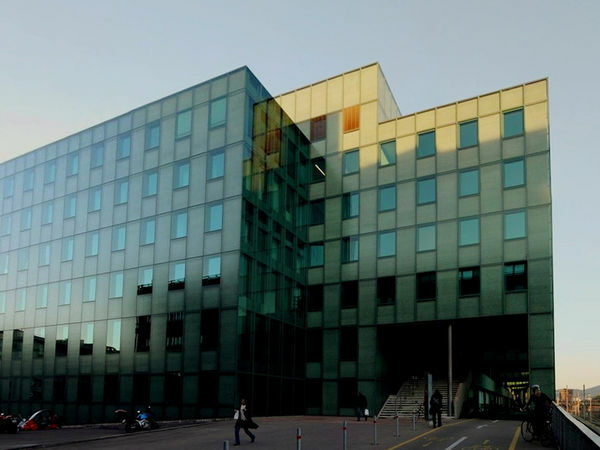 Local architects Herzog & de Meuron planned the site and completed it in 2014. 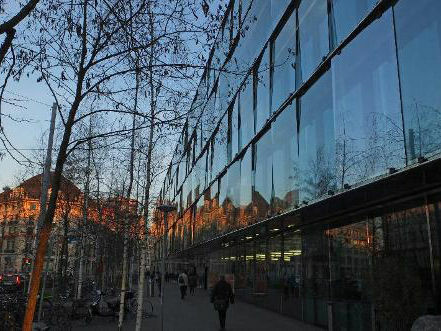 The campus located at the Novartis headquarters has already become a true Mecca for modern architecture. The planning was conducted by the famous Italian architect Vittorio Magnago Lampugnani. 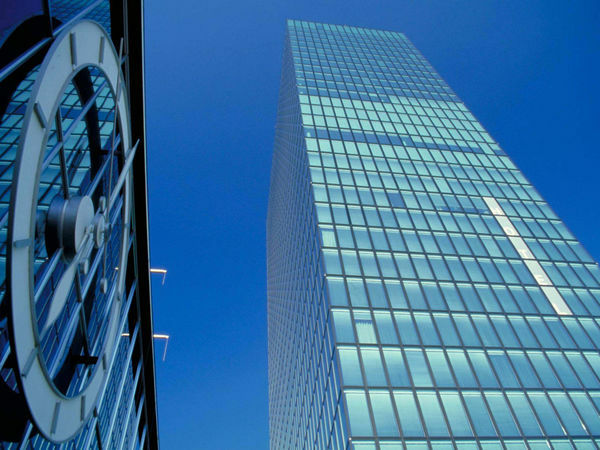 The Roche Tower can rightly be labelled the modern landmark of Basel since it is the tallest building in Switzerland and is visible well beyond the city boundaries. 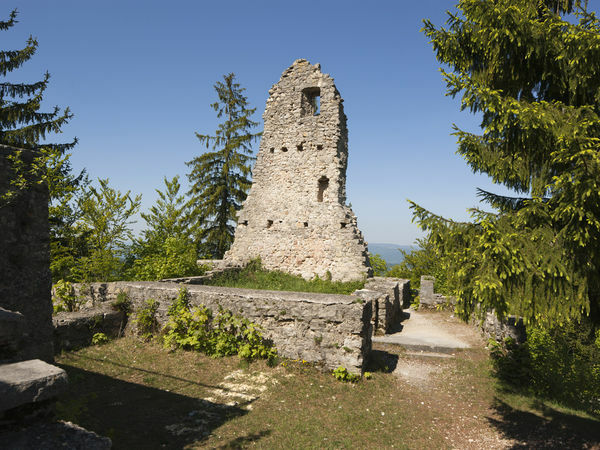 Nestled in the heart of the wonderful rolling hills of Basel-Country, the ruins of Farnsburg Castle are a popular destination for hikers. 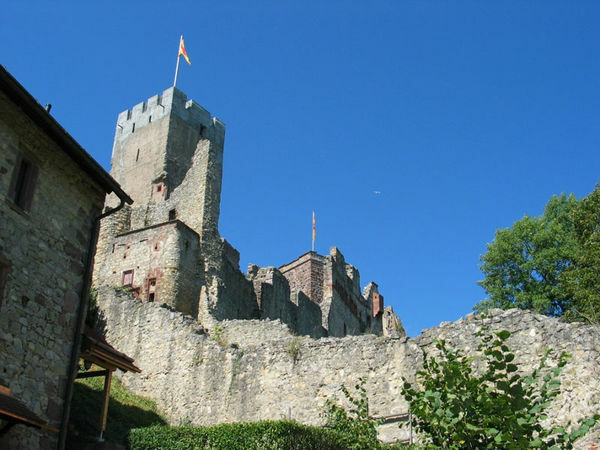 Rötteln Castle, near the city of Lörrach, is built on a mountain spur on the steep eastern slopes of the Wiesental valley in southern Germany. 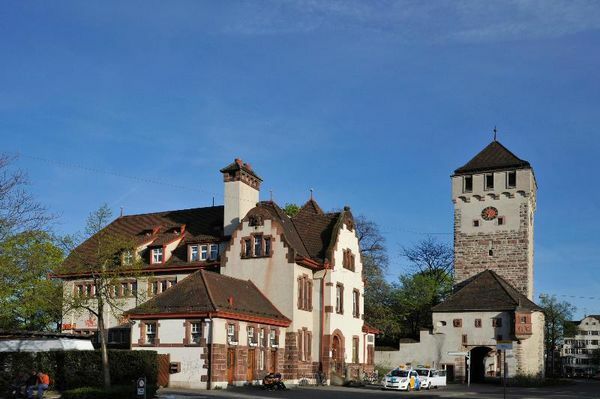 Historic Schloss Binningen is located at the centre of the municipality of Binningen, near Basel. The St. Alban­Tor (St.Alban's Gate), dating back to ca. 1400, was part of the fortifications of the old walled city and is the gateway to a picturesque district of the city. 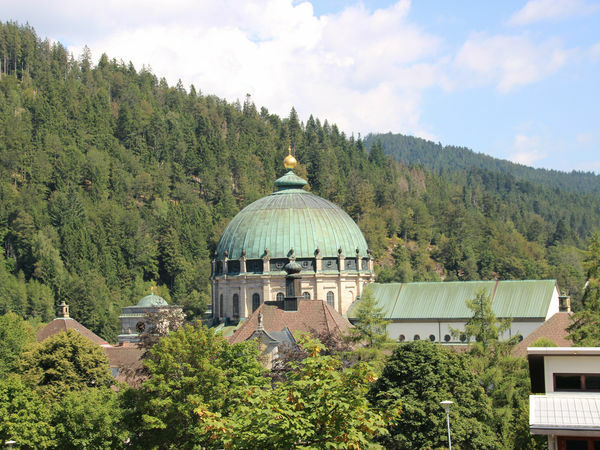 Take a trip through the Wehratal valley and discover St. Blasien, Lake Titisee and the health resort at St. Peter. 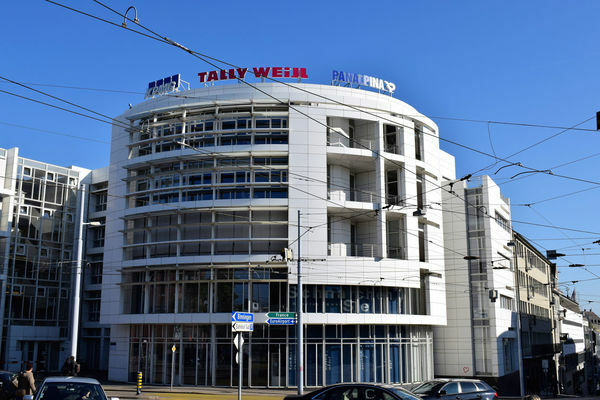 St. Jakob-Park is Switzerland's largest football stadium and the home ground of FC Basel. It is important in both architectural and sporting terms. 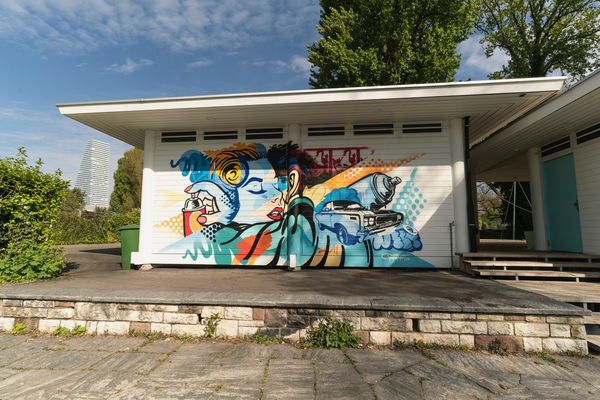 The former working-class district of St. Johann exemplifies the way Basel is moving into the future. 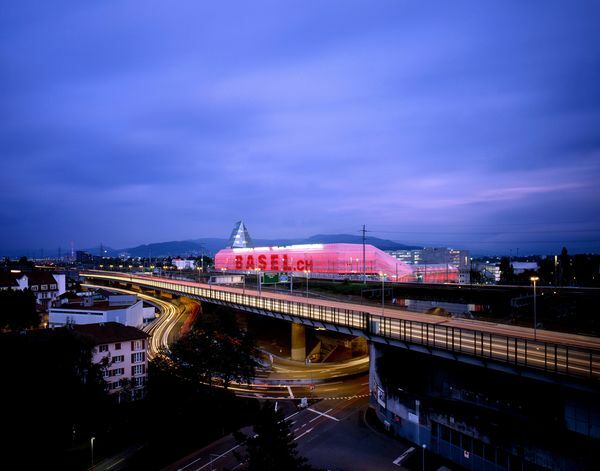 With the completion of the city's northern bypass road and the creation of the Novartis Campus, the whole district has been transformed and is now a showcase for contemporary Basel architecture. St. Johanns-Tor (St. Johanns Gate) is one of the three surviving entrance gates to the old mediaeval walled city, which formed part of the fortifications built shortly after the great earthquake of 1356. 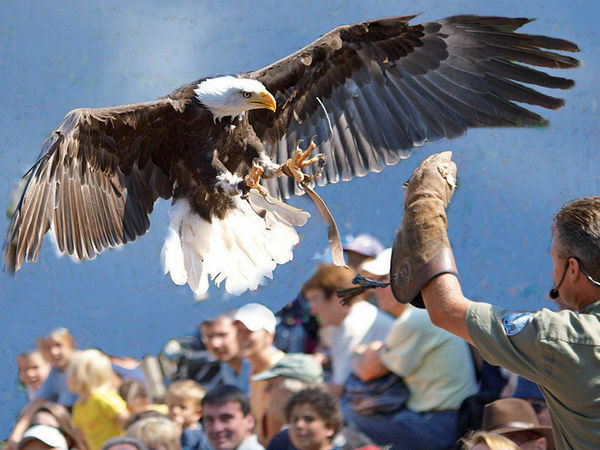 Over 1000 species of birds can be found at Vogelpark Steinen. 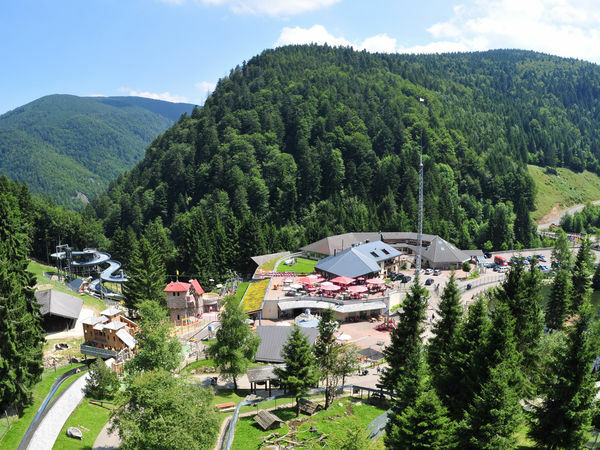 With its breathtaking mountain landscape and various attractions, Steinwasen Park is an outdoor experience for all the family. 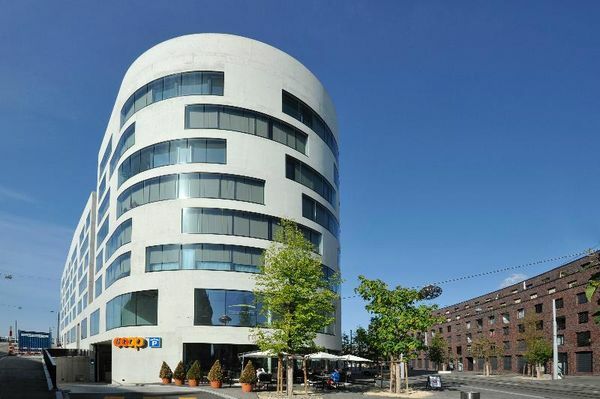 An ensemble of buildings, Südpark is a project with a wide variety of functions, requirements and uses. 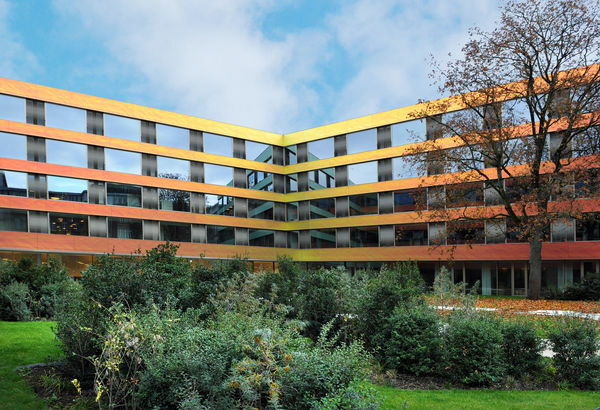 Glistening and gleaming in a multitude of colours, the University Children's Hospital Basel is an architectural masterpiece as well as a working clinic. 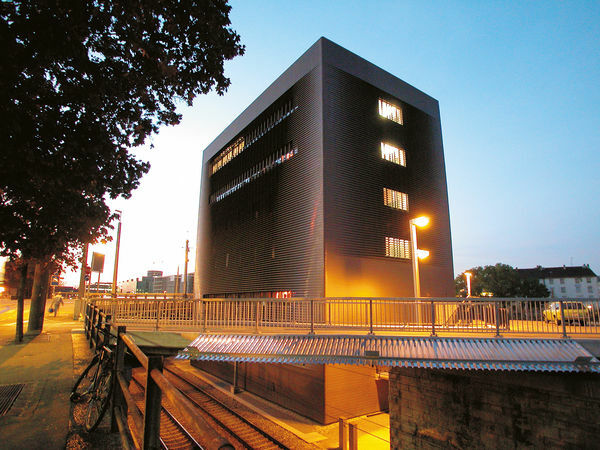 The two neighbouring buildings bring together architectural history and modernity: Klinikum 1 was built in 1945 under the direction of Hermann Baur, while the Women's Health Clinic was created much later in 2003 by Silvia Gmür and Livio Vacchini. 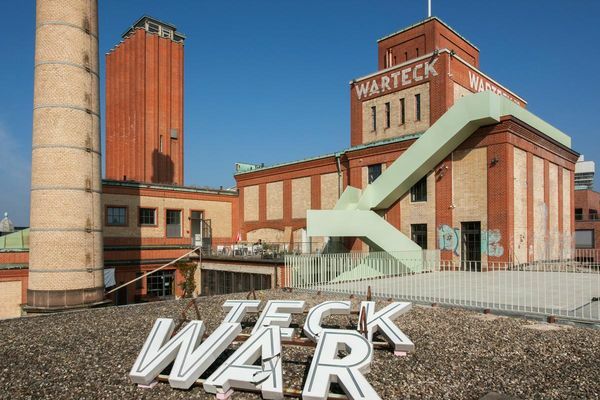 The site of the former Warteck brewery is in a central location, some 50 metres from the banks of the Rhine and one kilometre from the city centre of Basel. The Central Signal Box boasts an extraordinary location, set between the train tracks at the point where the road crosses the railway.